Would you like to learn something more about e-volunteering and using new technologies in your everyday work? Contact us – we’d love to share our experience with you! We organize workshop for NGOs, institutions, informal groups and individuals. We conducted e.g. two training projects co-financed by the Program Operacyjny Fundusz Inicjatyw Obywatelskich: „Bułka z masłem. Jak budować kapitał organizacji pozarządowej” and „Bieszczady 2.0. Rozwój zasobów organizacji dzięki TIK” for Polish NGOs, training project for students „Gra obywatelska”, co-financed by Swiss Contribution (Szwajcarsko-Polski Program Współpracy), lots of workshops for the leaders of Pracownie Orange and workshops during conferences (e.g. Sektor 3.0, Festiwal Wolontariatu, Kongres Bibliotek), for Ośrodki Działaj Lokalnie, for V4 Community Foundation Maturity Program participants and for the network of leaders of the „Równać Szanse” programme. We overcome the popular negative stereotype about volunteering! We prove, that voluntary can be an excellent way to spend free time, developing your passion or gaining a valuable experience. We are showing interesting campaigns which promote voluntary work. We present examples from Poland as well as from world. We are also help other organizations by preparing them to cooperate with volunteers. This help to encompass finding a proper person, taking care of good quality of provided work and keep high satisfactory level of the cooperation for both sides. Without a shadow of doubts Internet give us a lot of opportunities! It is not just Facebook, watching movies or on-line shopping – there is a wide range of possibilities which allows us to act to common good. We can i.a. : edit encyclopedia, create social maps, give private lessons or offer other unpaid help. The good point is that Internet imposes on us any barriers. We are advising companies how the e-volunteers from Poland can support their action. We are working with people who want to start (or have already started) e-voluntary projects: e – charity, civil journalism, e-learining, mapping, self-help and with those who take care to keep the highest standard of their work. – How to become a e-voluntrees? 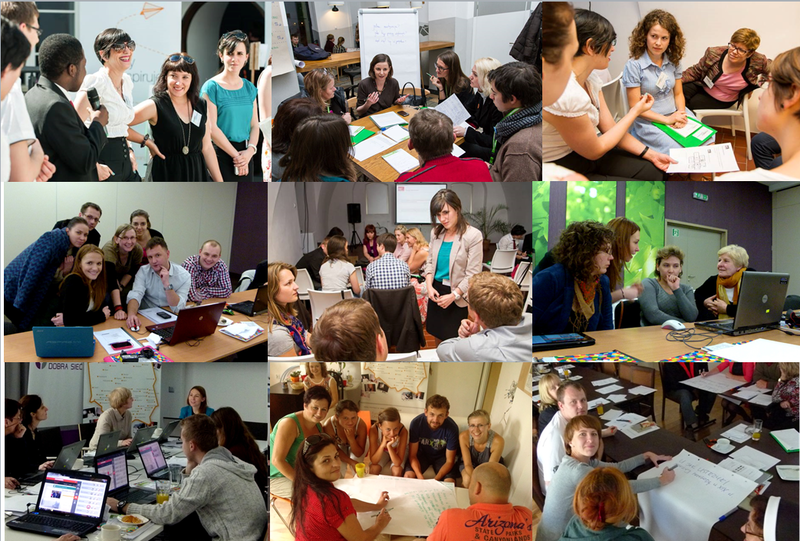 – the e – voluntary project: from idea, through implementation, fininshing at evaluation. Computers, tablets and smartfons can simplify the work even in the smallest non-public organization and also… help to gain some funds on action! E- volunteering is an excellent solution for employees – especially for the hard-working ones!